How about this for a nifty bit of recycling! A simple transformation from veggie box to coffee table for the garden. We were in search of something unusual to use in a newly created section of our garden so searched the web for wine boxes and came across this veg storage box. 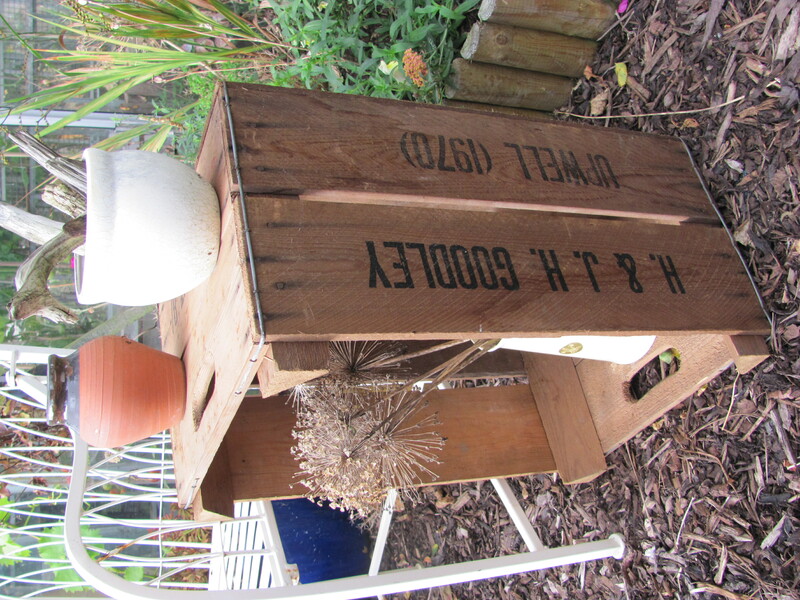 The box was used by J &JH Goodley, fruit and veg growers from Upwell near Wisbech in Lincolnshire and is dated 1970. There is a red inked stamp on the side indicating that it was manufactured by W Groom Ltd, Boxmakers of Spalding also in Lincolnshire. The box has a red ink note stamped onto its side indicating an 8 shillings deposit. This was a brilliant way to encourage re-use of packaging which seems to have faded away. Could it be a good time to re-introduce the idea? 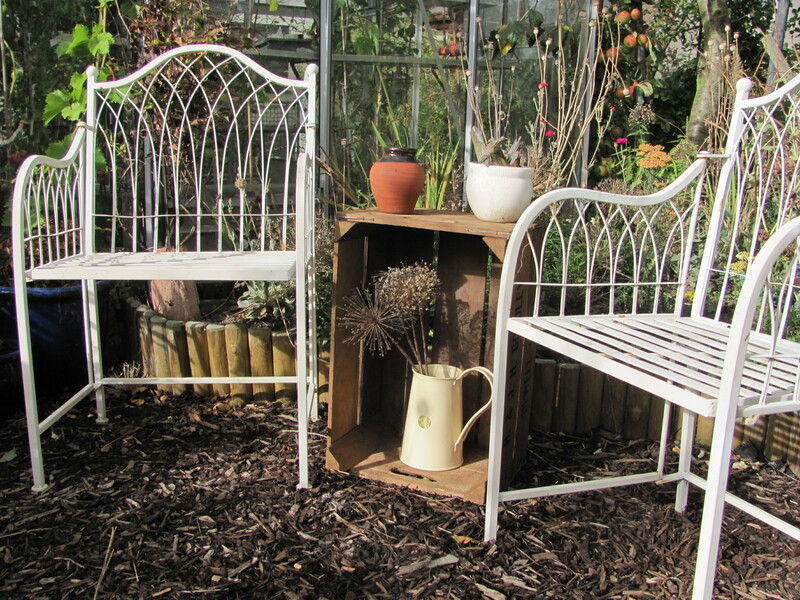 This entry was posted in fruit and veg, gardening and tagged gardening, recycling. veg box. Bookmark the permalink.